Personally I’m really sad that we don’t seem to make breakfasts anymore. Obviously during the week we definitely don’t have time for anything more than a quick bowl of cereal or piece of toast before work, and the majority of our weekends are packed as well. But back in Sheffield, we did always seem to make the effort to look for new things to do – even if they’re super simple. So here are our top 3 favourite breakfasts which we have made ourselves. We made this soon after discovering @symmetrybreakfast on Instagram. Their account is full of amazing breakfasts with ingredients which wouldn’t even cross the mind of most to have for breakfast. For our first attempt at making our morning meal symmetrical, we chose probably the simplest one from there. But I think we did it very well! 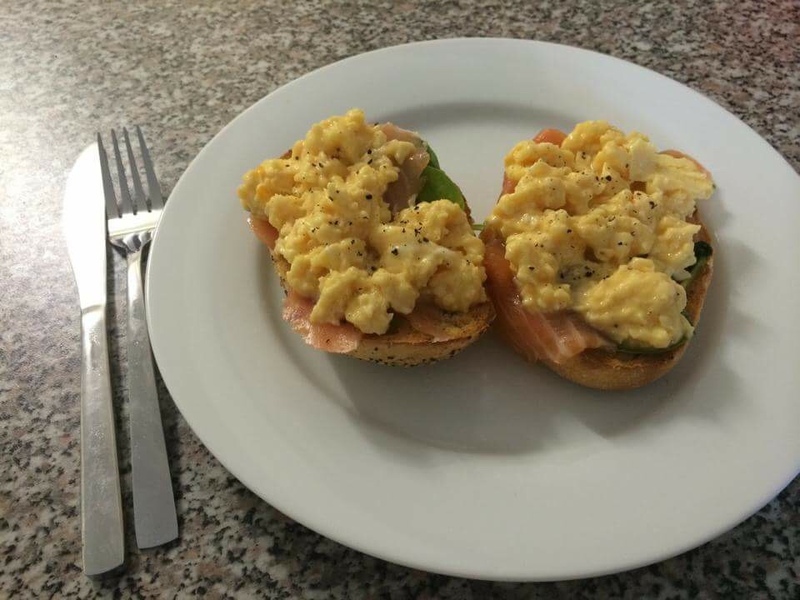 We’re still hoping to get back into making breakfast at weekends and we’ll never be short of ideas thanks to @symmetrybreakfast! 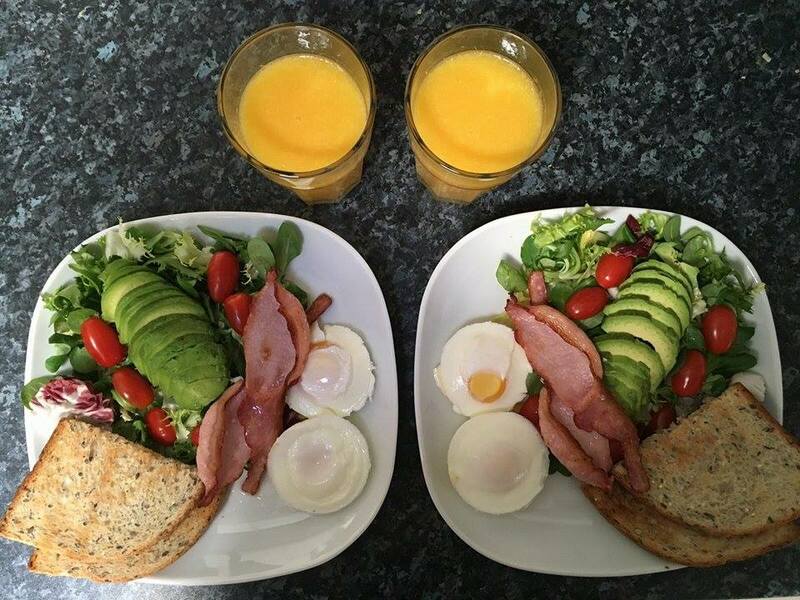 Salad with tomatoes and avocado, bacon, poached eggs and toast, along with fresh orange juice. This breakfast will always bring back fond memories as it was the first that I made for Jessica right at the beginning of our relationship. I was clearly trying to impress her but most of all, I impressed myself to be honest! I was really lazy back at home when it came to cooking and making food, but now I had the incentive to sort that out and start making an effort! I always used to make my Friday afternoon trip to Sainsbury’s ready for Jessica’s arrival that evening, with every meal planned for the weekend. Oh the days! And little did I think I’d be writing about it nearly two years later. A more recent making is this one, and what we think is Jessica’s debut in terms of making breakfast just for me! I always use to do it in the beginning, and then we started to make everything together. But I’ll hold my hands up and say if I tried to do this, it would not go well! I’m not a creative person at all! 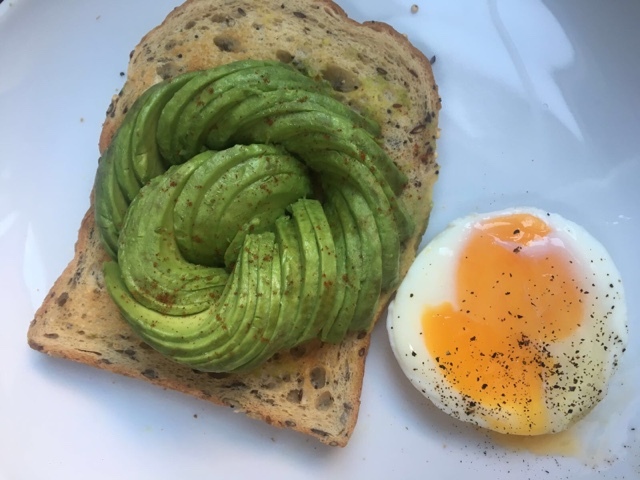 If you’ve kept any sort of tabs on our blog you’ll know Jessica is avocado crazy and we’ve included it in a lot of meals now. If you would like to see our other breakfasts click on the breakfast label or give it a search in the box to the right of each post! We’ll try our best to get back underway with our morning efforts very soon!